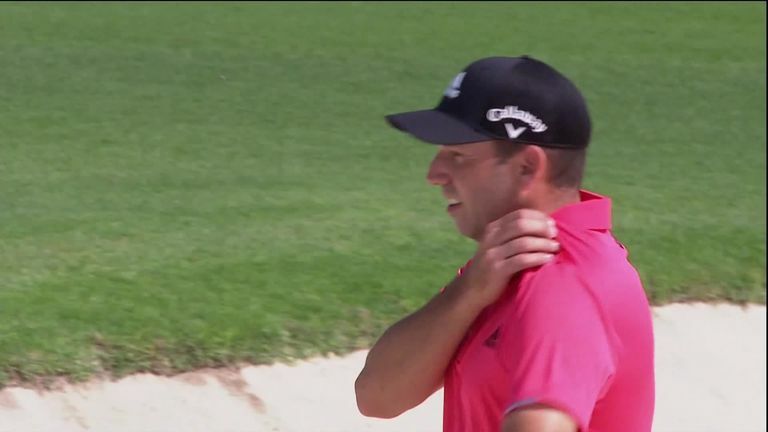 Sergio Garcia let his frustration get the better of him during the Saudi International! Sergio Garcia lost his cool after getting an unfortunate break in a bunker during the second round at the Saudi International. Garcia posted back-to-back birdies from the second and attempted to attack the par-five fourth green in two, only to see his approach land in the greenside bunker. The Spaniard was less than impressed with his lie, blaming the way the bunker had been raked for his ball finishing in an awkward position in the sand. Garcia's mood went from bad to worse when his next shot failed to clear the bunker, with the former Masters champion eventually getting up-and-down to salvage a five. After taking multiple angry swipes at the bunker in frustration, Garcia went on to bogey two of his last four holes to post a level-par 70 and stutter through to the weekend. Click on the video above to see Garcia's bunker rant! Watch the Saudi International throughout the weekend live on Sky Sports. Live coverage continues on Saturday from 9.30am on Sky Sports Golf and Sky Sports Main Event.